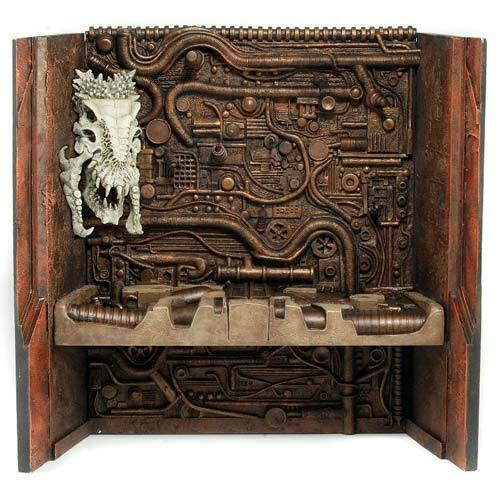 NECA have released their Predator trophy wall diorama based on the classic scene featured in the Predator’s space craft at the end of the 1990 sci-fi action film Predator 2. This faithful replica to the original trophy wall is a limited edition collectible of only 5,000 units. 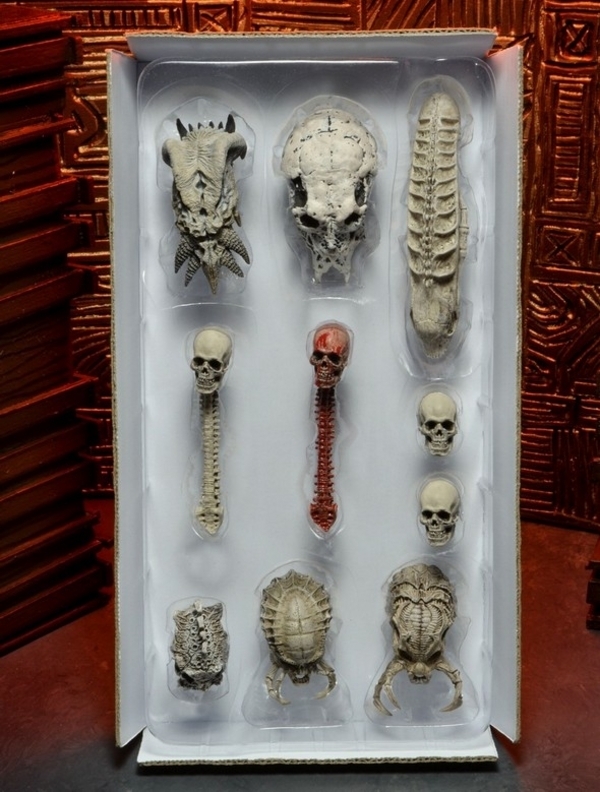 The diorama includes a series of plugs and attachments that will hold 8 different skulls – the various “trophy skulls” provided with your NECA Predator’s can finally be displayed how you want to display them! The wall itself comes with an exclusive large dinosaur-like skull (refer below for more skulls). It measures 12-inch long x 11-inch tall.